David has a degree in Marketing Management from Napier University and has experience working in various sectors within business development and sales and marketing. 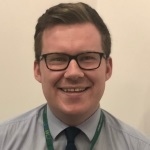 For the last 5 years he has worked as a start-up adviser with Business Gateway West Lothian supporting new businesses to set up and start trading. David has recently moved into the Growth Team and is working with early stage growth businesses- supporting them to grow, develop and assist them with accessing funding and training to help with this. David is also part of the STEPSN2WORK team. STEPSN2Work is a West Lothian Council wage subsidy scheme; supporting local employers to employ young people aged 16-24. Gilly's role as a Rural Business Advisor has two focuses: 1. Engaging with local rural SMEs in the communities and small villages of West Lothian to help stimulate business activity and provide support by linking them to a vast range of external professional business services and 2. Identifying local business, community and farm diversification projects looking for capital and revenue which could be eligible for LEADER EU funding, and supporting their project development and subsequent funding application. 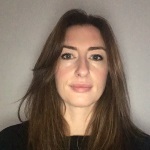 An experienced start-up adviser, Laura has worked as a part of the Business Gateway Team for over ten years with nine of those spent in an advisory role. Laura works closely with pre-start and early stage growth companies assisting them with business planning, financial forecasting and developing strategies to help drive their businesses forward. Educated to degree level in Business Information Management Laura has spent her career working within both public and private sector roles and had used this diverse experience to become a skilled listener, adviser and business strategist. Laura mostly enjoys meeting and working with new clients, helping them set out their business goals and mentoring them to develop a successful business. Lenna joined the West Lothian Business Gateway team in January 2001 having previously worked for British Telecom. 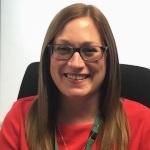 Lenna was the Business Information Officer for the team, a role she held for 7 years before progressing to become a Business Start adviser in 2011. Lenna holds the "Premier Adviser" SVQ level 8 qualification and is currently studying for an HND in Accounts at West Lothian College. Lenna enjoys working with the wide range of clients who engage with Business Gateway and feels privileged that clients often refer family & friends & return to her time and time again. Lenna also presents sessions on Business Gateway services to various classes at West Lothian College a role she really enjoys. 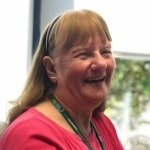 In her spare time Lenna enjoys walking and exploring Scotland and has completed the West Highland way. She enjoys singing and is an accomplished artiste in Burns songs. 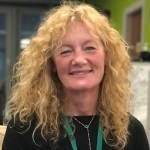 As a Business Growth Adviser, Lynne works with businesses to establish their plans and objectives to provide tailored support on key growth issues. She completed an advanced Modern apprenticeship in Engineering with HP and worked as a server engineer for six years. Following redundancy she started and ran her own company whilst raising my three boys and recently completed the sale of her business. 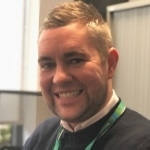 Marc joined the West Lothian Business Gateway team as a Start Up Adviser in September 2016, having previously worked within West Lothian Council's Regeneration and Employability team. Marc is currently working towards his Premier Adviser qualification through the Academy of Leadership and Management. 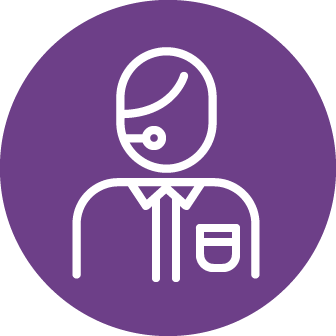 He enjoys working in various locations throughout West Lothian to provide advice and support to ensure clients have all the information they need to get their business off to the best start possible. Martin delivers advice and support to a varied portfolio of existing and new start Social Enterprises and income generating voluntary organisations including community development trusts, housing associations, credit unions, community sports clubs, income generating charities and a range of other social enterprises. His support is tailored to the needs of each organisation and includes planning, taking on new premises, employing staff, legal structures, charity regulation, organisational development, community asset transfer and raising awareness of Third Sector support programmes. He also works in close partnership with other support organisations. 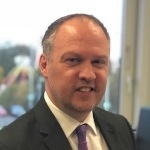 He has worked as part of the Business Gateway team for over 10 years and previously worked a company director in the retail sector with responsibilities for commercial retail sales and HR. In his spare time he enjoys walking and running, as well as drawing, painting and going to gigs. Before joining Business Gateway, Terry previously worked for over a decade in the financial services sector and has specialist knowledge in bank advisory services. He joined Business Gateway in early 2018 after completing his MBA studies and comes with a strong track record of delivering commercially focused business solutions. He sees client contact as paramount to assist the individual/organisation to achieve its goals and targets. He is able to provide such support from his academic background, financial training and business development experience. Terry advises his high growth clients on all the public sector support available in Scotland through agencies like Business Gateway, Scottish Enterprise, Scottish Investment Bank and local councils as well as giving them commercial advice on running and growing their businesses.